Form HR549 is a North Carolina Department of Public Safety form also known as the "Workplace Violence Incident Report". The latest edition of the form was released in March 1, 2014 and is available for digital filing. Download an up-to-date fillable Form HR549 in PDF-format down below or look it up on the North Carolina Department of Public Safety Forms website. DPS Human Resource Office, Workplace Violence Coordinator. 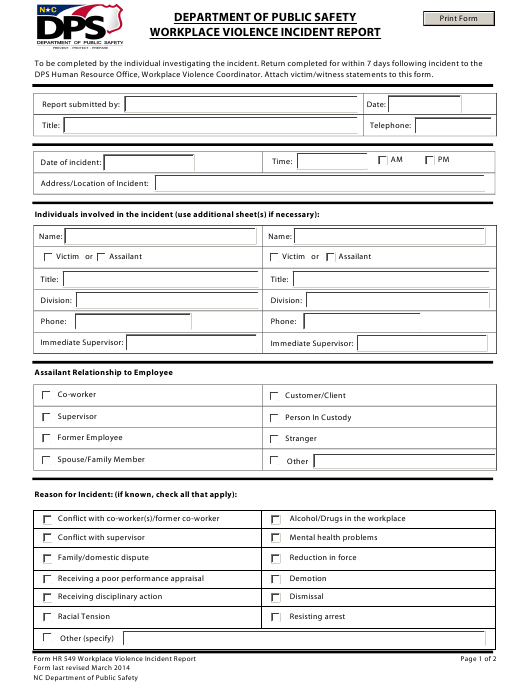 Attach victim/witness statements to this form.